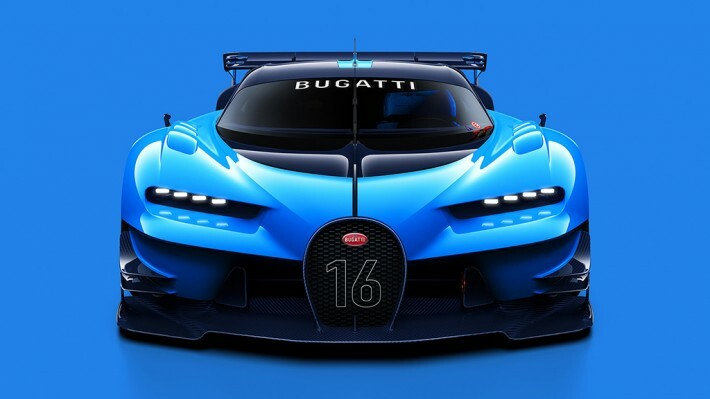 Bugatti is still some way off from properly showcasing its successor to the Veyron successor, but this new concept car gives us a pretty good idea of what to expect. Created specifically “for the fans (of the Bugatti brand)” to drive in Gran Turismo 6, the Bugatti Vision Gran Turismo clearly shows its Veyron roots – despite being a racing car, the basic design architecture has obvious design links to the Bugatti EB18/4 Veyron concept car that was showcased at the 1999 Tokyo Motor Show. Being so clearly linked to the Veyron does, though, mean this is our clearest official look yet at what is expected to be christened in road car form as the ‘Chiron’ (a hark back to Louis Chiron, a pre-war Monegasque racing driver who became the to-date only native winner of the Monaco Grand Prix in 1931, whilst steering a Bugatti Type 51). 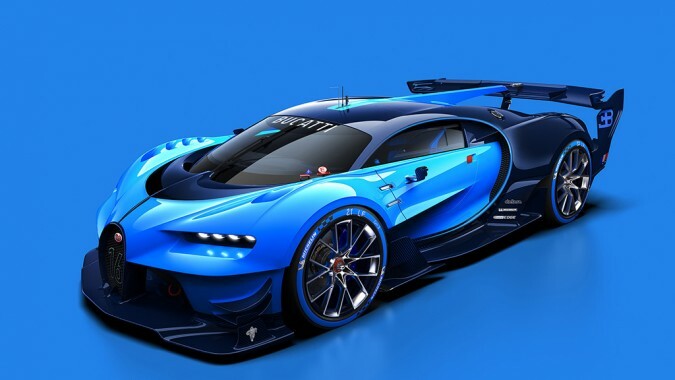 For example, the slim headlight clusters and sharp bodywork creases in the Vision Gran Turismo imply a more aggressive aesthetic for the new Bugatti supercar. 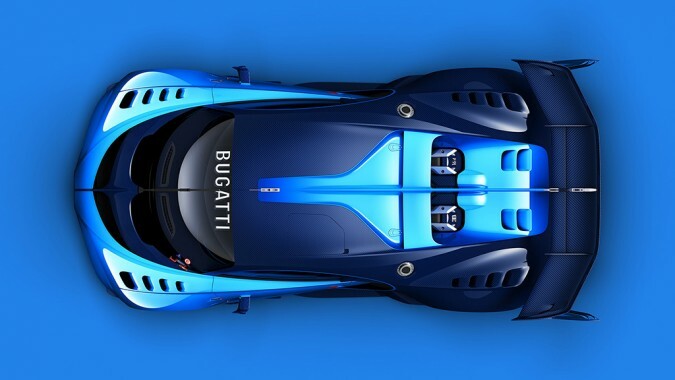 The rakish roofline and McLaren P1-esque rear haunches are also expected to be carried over to the road car it will eventually inspire – though we’d be surprised if the quad exhaust set-up and monstrous rear aero package were also featured on the Veyron successor. Despite the motorsport theme extending to the interior, there are road car underpinnings to be found in the cockpit of the Vision Gran Turismo. Underneath the toggle switches and Circuit de la Sarthe decals on the centre console, for instance, are what appear to be hints at a touch panel not too dissimilar from what’s seen in the Chevrolet Volt. The dashboard binnacle also seems to be all digital this time, replacing the conventional analogue gauges seen in the Veyron. 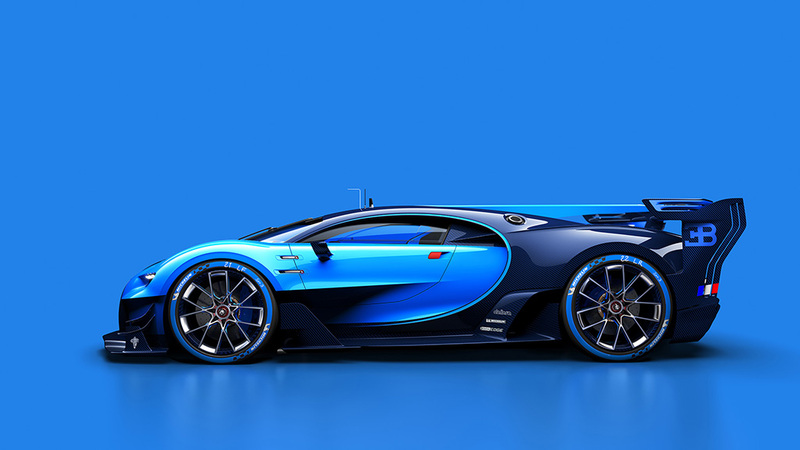 As a result, we wouldn’t be surprised to see the next Bugatti supercar with a TFT dashboard display – if a ‘Virtual Cockpit’ is offered as an optional extra on the £30,000 Audi TT sports car, then we expect to see it as standard equipment on a hypercar that’s expected to cost the thick end of £2million! 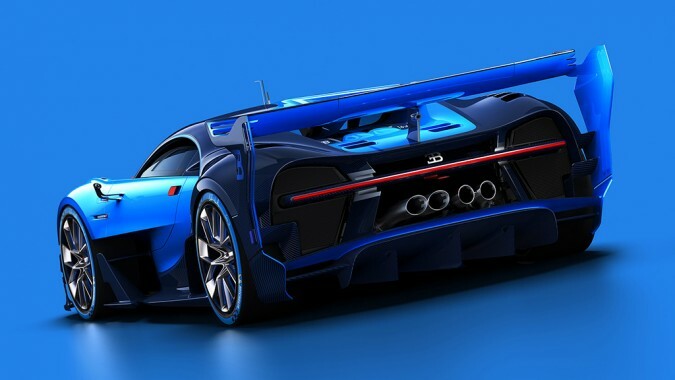 Whilst the Bugatti Vision Gran Turismo will feature at this month’s Frankfurt Motor Show as a full-sized physical mock-up, the road car it’s expected to inspire most likely won’t make its public debut until next year’s Geneva Motor Show at the very earliest.